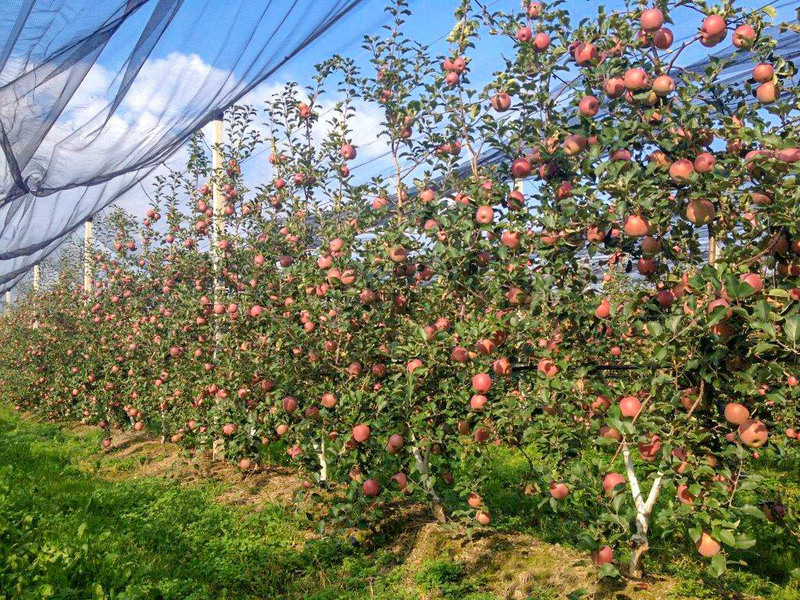 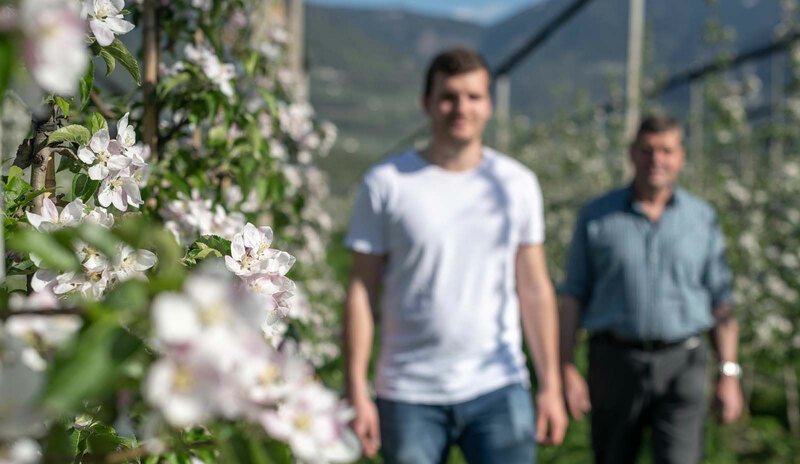 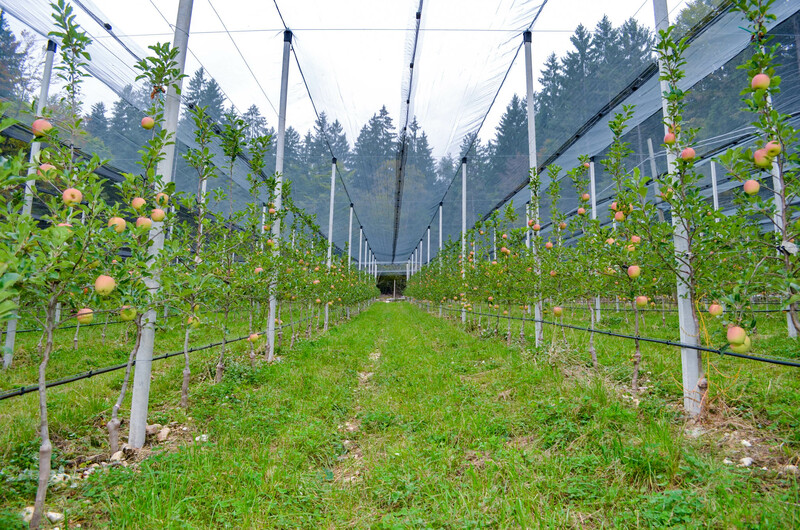 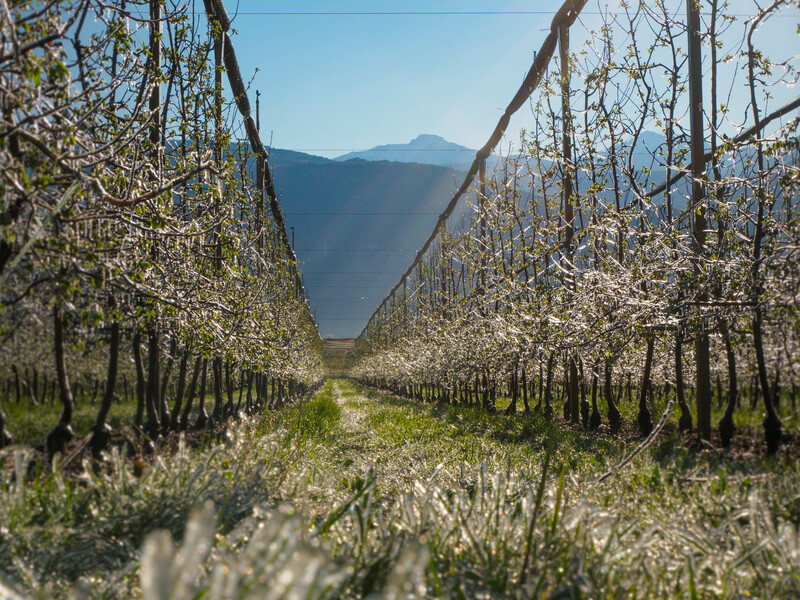 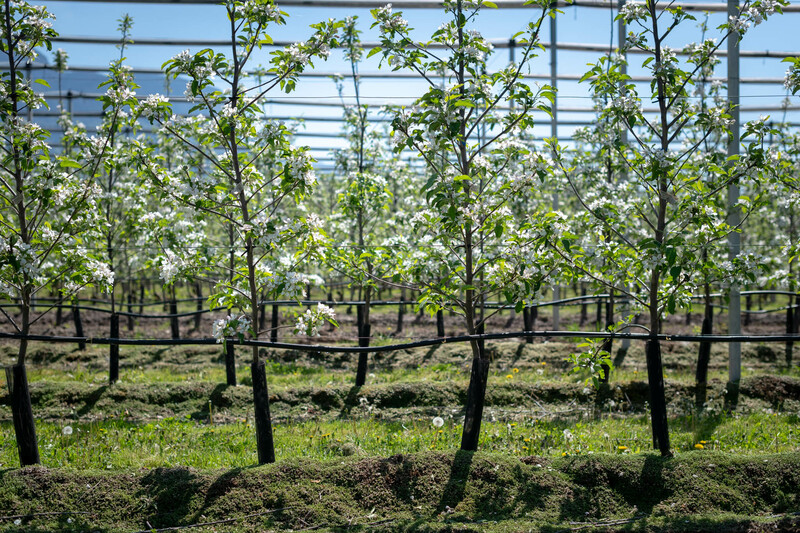 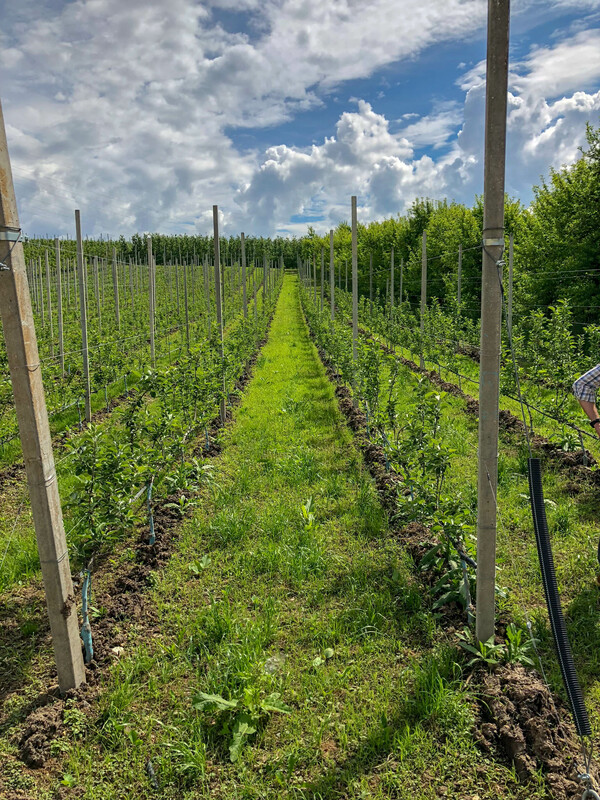 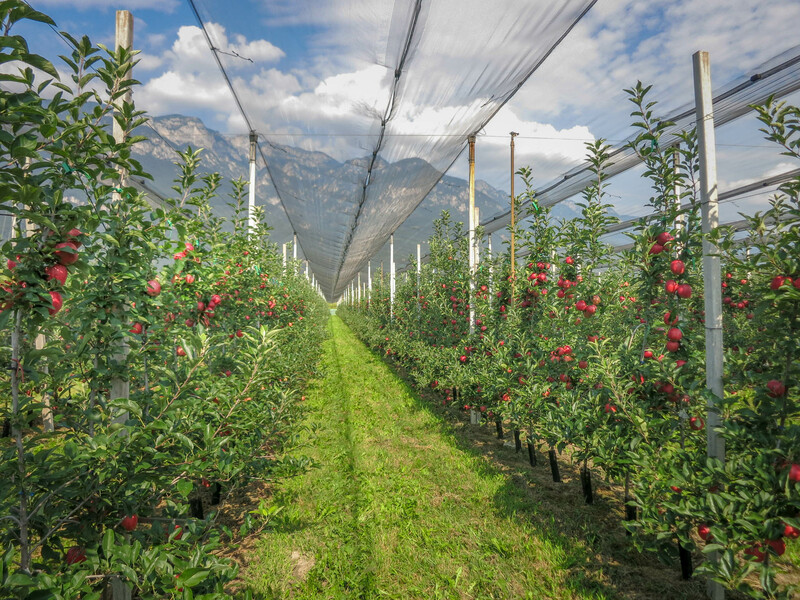 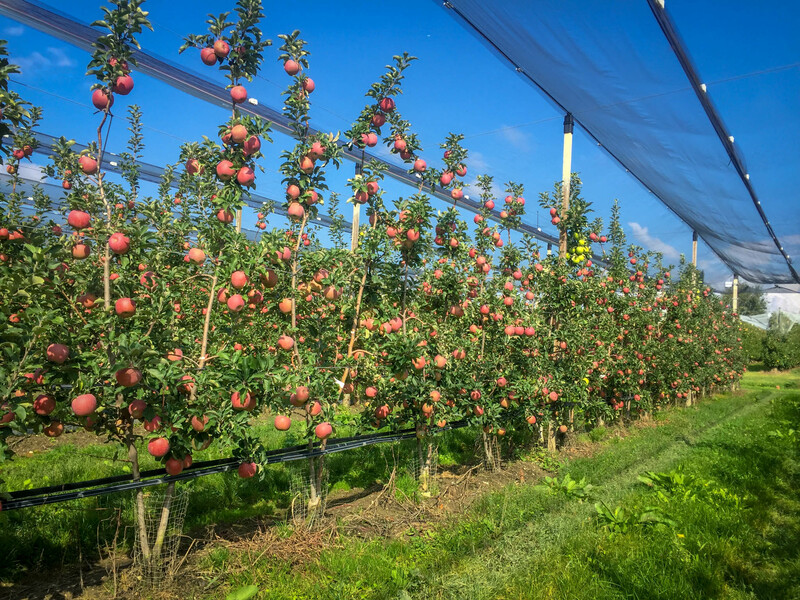 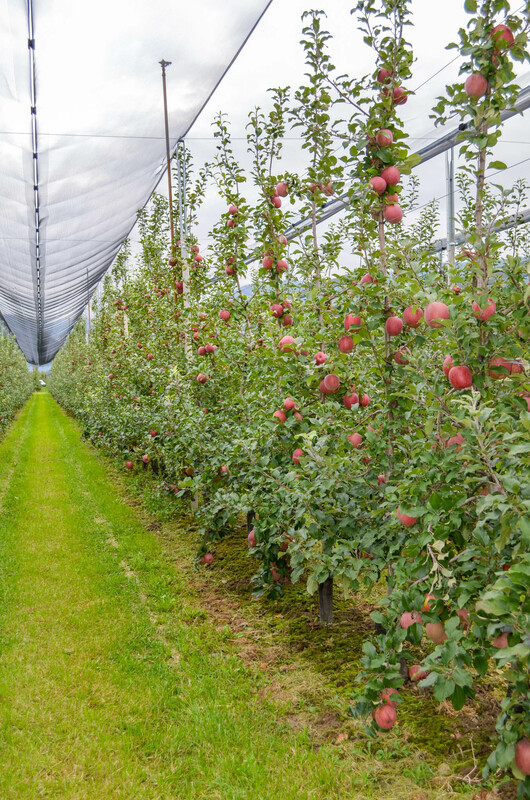 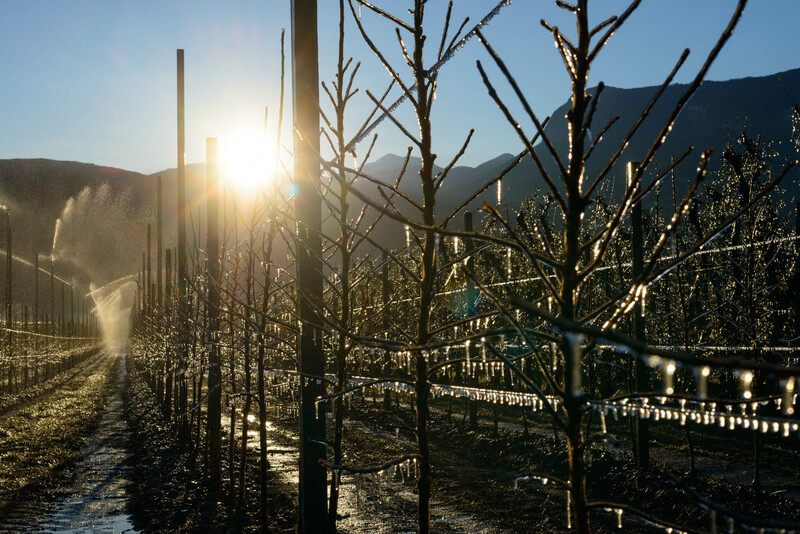 The requirements of modern commercial fruit growing go far beyond achieving high-quality fruits and range from the controlled use of plant protection products to the optimisation of machinery or labour. 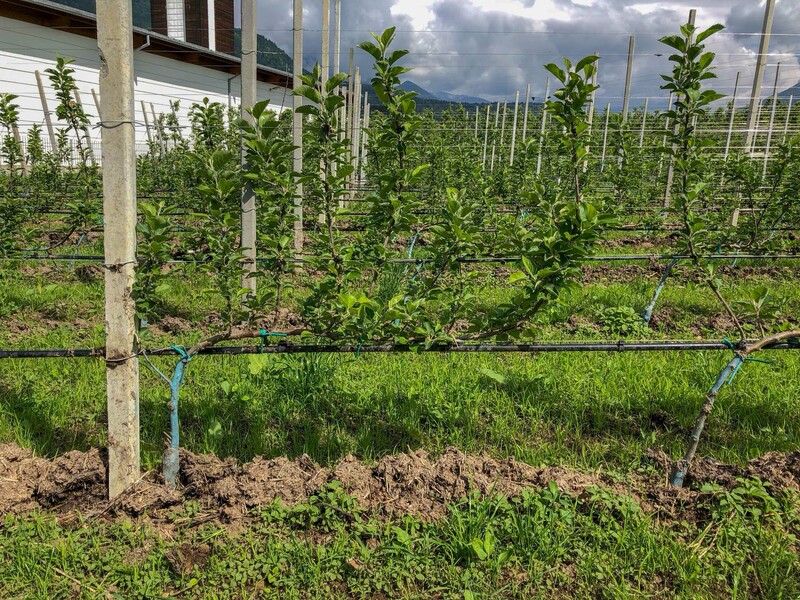 In order to meet these requirements, there is a continuous need to develop innovative ideas and researched alternative cultivation systems that contribute to a sustainable improvement in contemporary fruit growing. 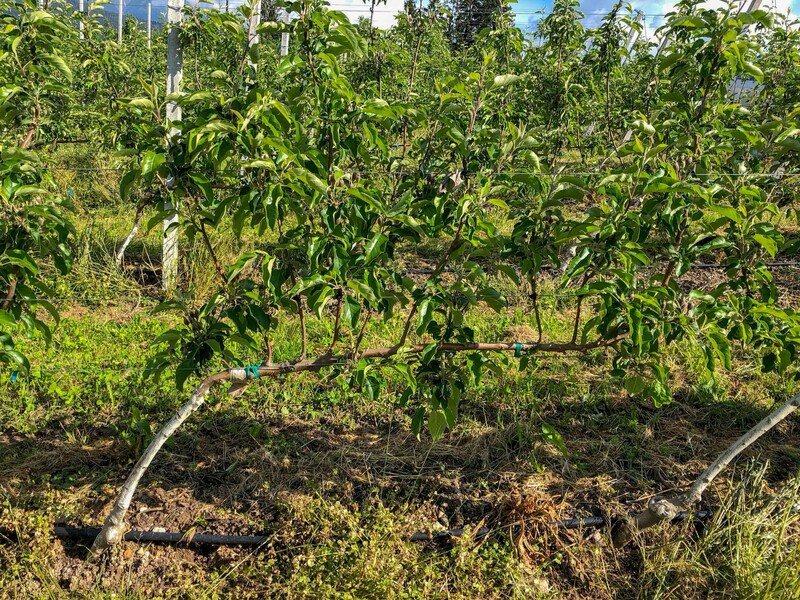 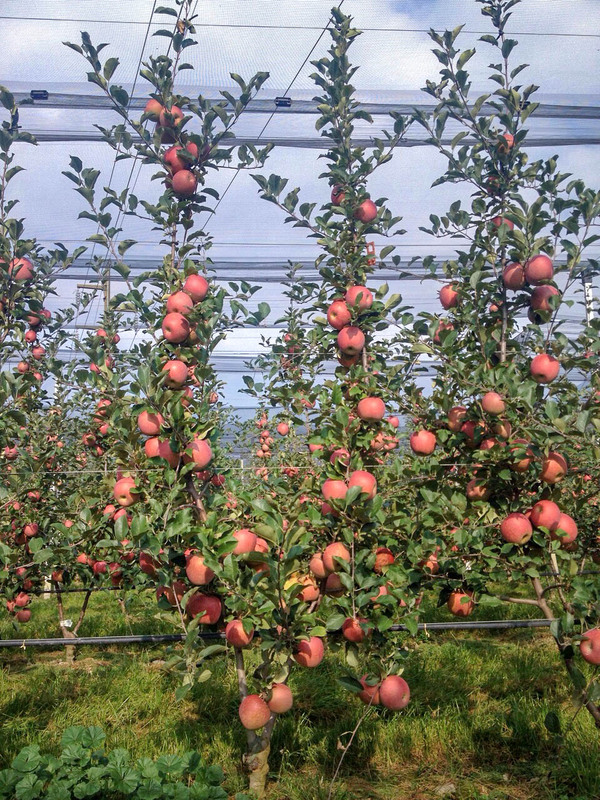 The fruit trees at the Oberhofer Nursery are available as Spindel, Bibaum® and Guyot trees. 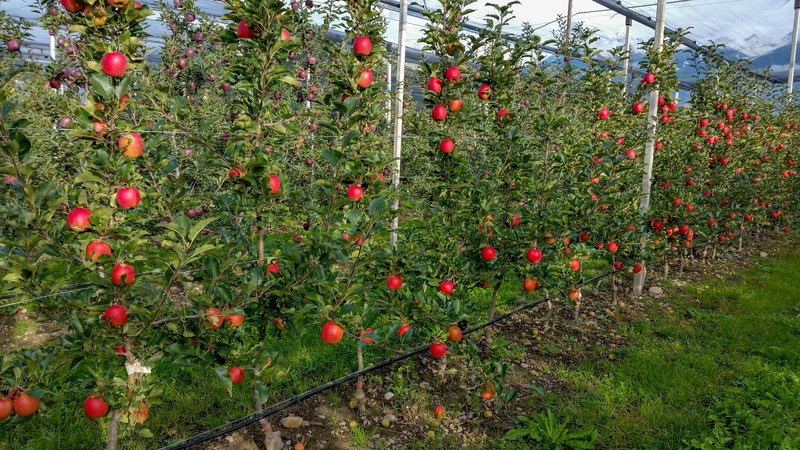 The classic, proven conical shape in fruit cultivation – a central fruit axis with strong branches forming the basis of the Spindel and becoming shorter towards the top of the tree. 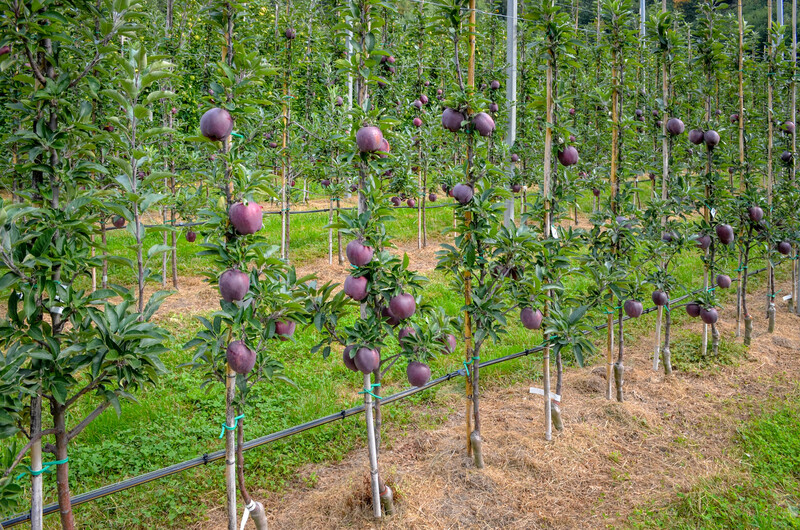 One trunk with two symmetrical fruit axes that are equally strong. 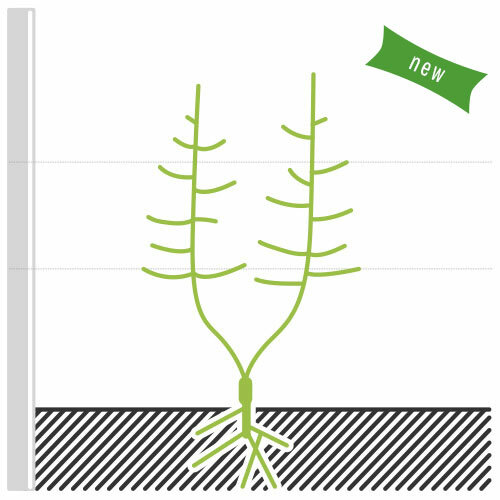 This gives it an advantage when it comes to cultivation. 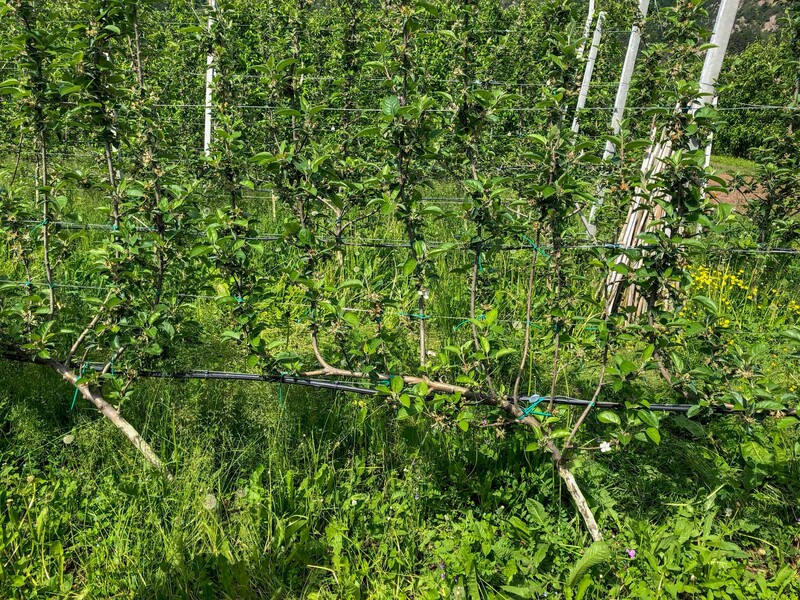 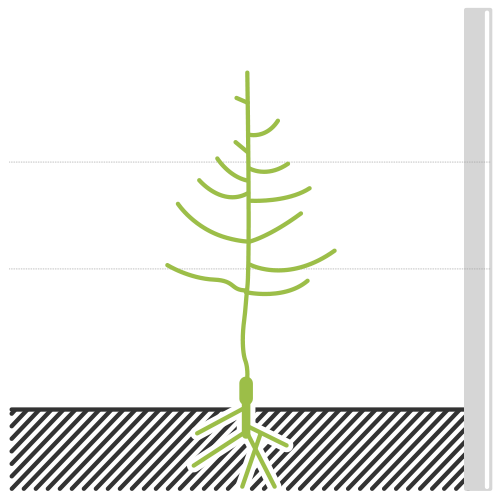 A horizontal fruit axis with lateral shoots on one side that become denser towards the end of the axis, similar to espalier planting in viticulture. 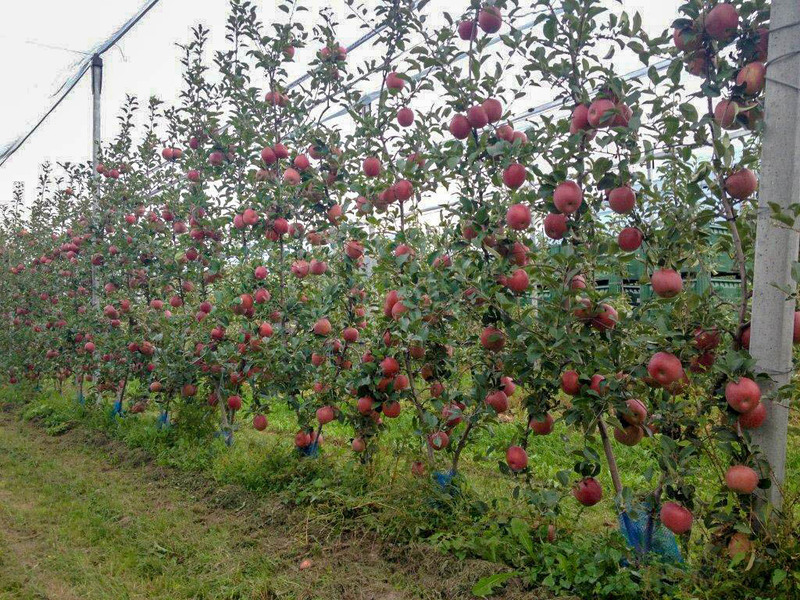 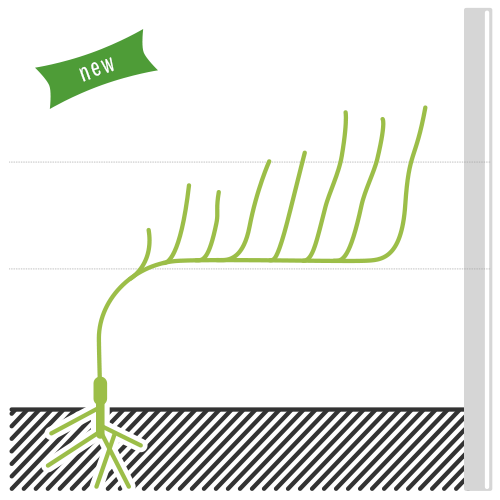 The tree is supplied with the beginnings of fruit buds and can easily be trained horizontally.